Well hello summer in a bottle. 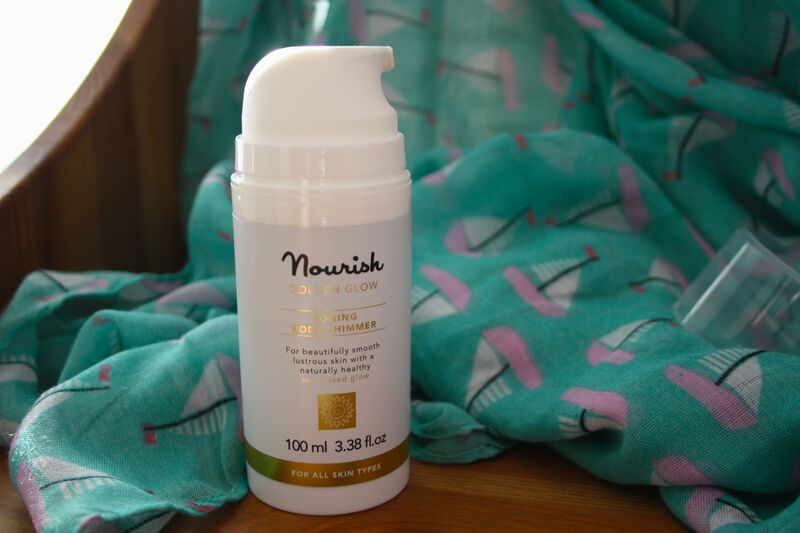 It’s no secret that I have a bit of a brand crush on Nourish, but when I was sent this beautiful product to review, things reached a whole new level. The Golden Glow Toning Body Shimmer* (£25.00) is a fabulous hybrid of make up and skincare. Although it has some great benefits to the skin, I’d say its main purpose is cosmetic because of it’s gorgeous smoothing and shimmery effect on the skin. 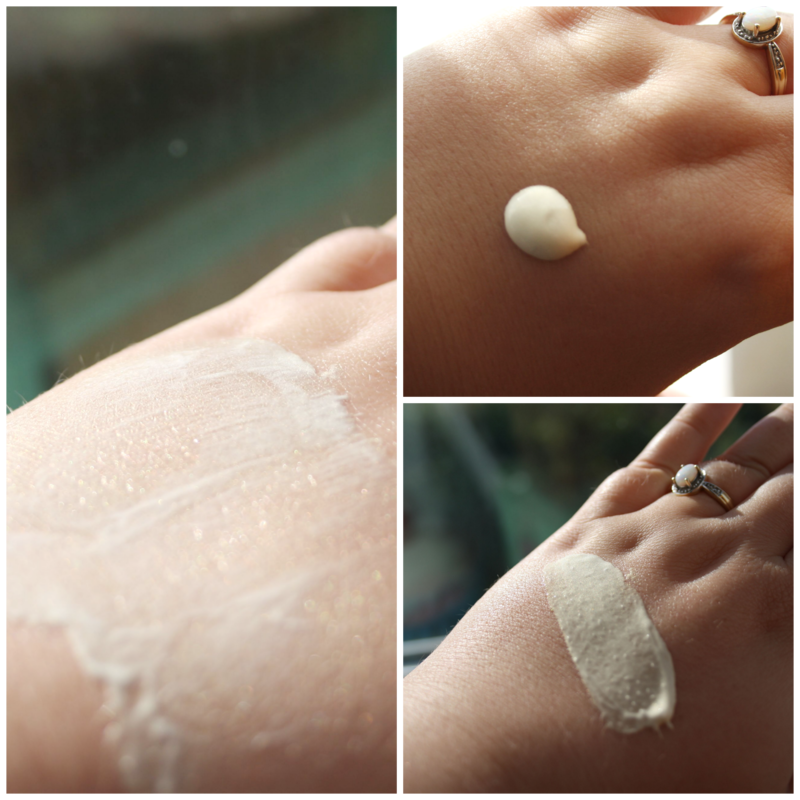 It’s a very light cream that can be used anywhere on the body for an extra touch of glamour. Perfect for hazy evenings sat around a barbecue, or to add luminosity to the skin at a special event. To be honest, I’m just an addict and slather this on whatever the occasion: It’s on my skin at work, when I’m lazing around at home or just nipping to the shops, because that’s just how I roll. You simply gently massage this creamy product into the skin, but don’t be too enthusiastic here otherwise the beautiful shimmer will just remain on your hands rather than your body. The marine extracts are said to help to firm and tone the skin, however I couldn’t really comment on that as my skin is sill young, but I do notice a positive difference in my skintone. This also contains hyaluronic acid, the wonder ingredient that helps retain and add moisture to the skin, keeping your complexion feeling hydrated and looking healthy… In fact, whilst we’re at it, let’s celebrate some other ingredients on the list: argan oil, shea butter, aloe vera, frankincense oil, myrrh oil and my favourite scent of all time… neroli. This is definitely something special, and you can just tell that although this product feels so summery now, it will make a magnificent transition into the winter wonderland once the festive season arrives – heck, with gold, frankincense and myrrh the three kings should have just handed this over to the baby jesus and saved an awful lot of time! Sorry about my ugly hand! Clearly not a model in the making…. I do love the hydrating properties of this product, but for me it’s all about the elegance, glamour and fragrance. There’s something about this product that gives an air of confidence. I normally have really horrible blotchy skin, but this helps even out my skin tone, enhancing whatever trace of a tan I may have. I really, really love it and would recommend it to anyone. It’s a beautiful delicate formula that is suitable for any skin type, and would make the perfect gift (not just for baby jesus, anyone would love this!). The only negative point I must mention about this product is that it did break me out across my chest when I first used it, but this is quite common for me, perhaps just do a patch test first to check you’re safe. Paired with their Golden Glow Illuminating Face Shimmer (£16.00) from the same range, you’ll be looking knock-out for the rest of the season ahead! What are your summer skincare must-haves? They’re so nice aren’t they! I love this too! Your baby jesus references made me laugh haha!